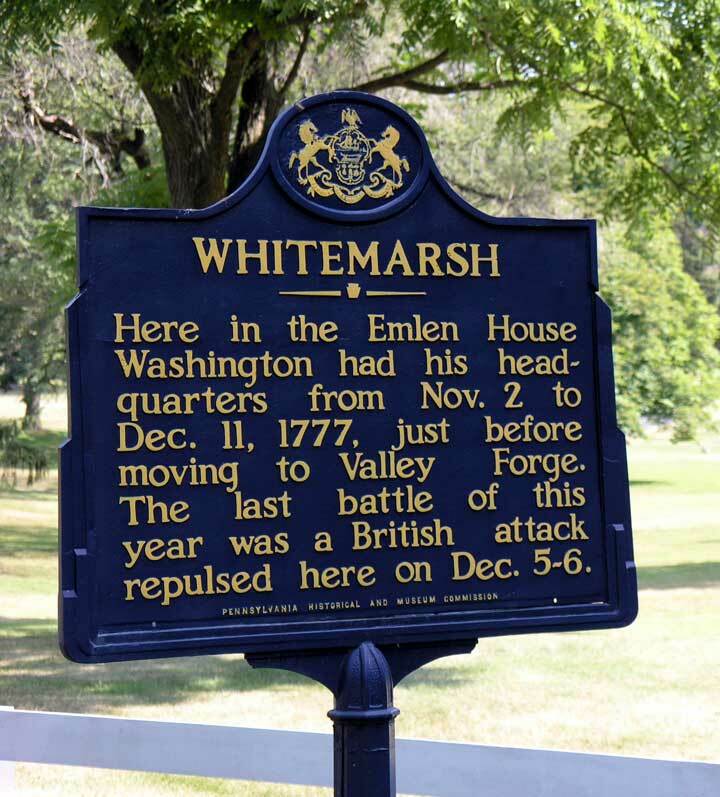 In Whitemarsh, just north of Philadelphia, on Pennsylvania Ave. 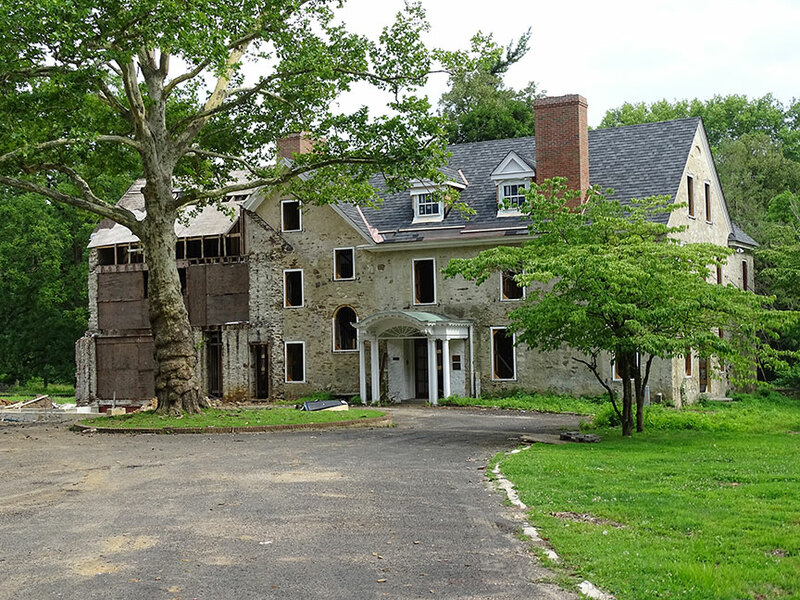 The Lon/Lat coordinates of the historical marker are N 40.12415°, W 75.19233° (I believe the actual house is down the tree-lined driveway and to the right). 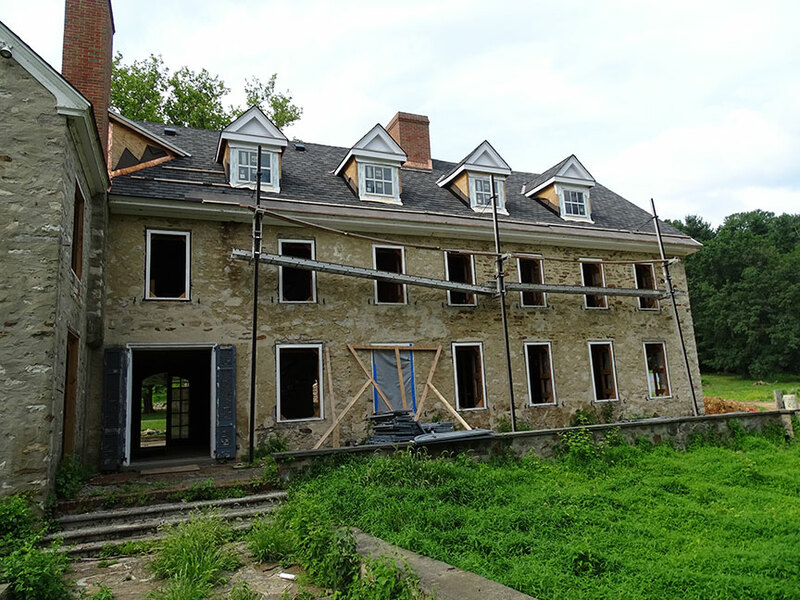 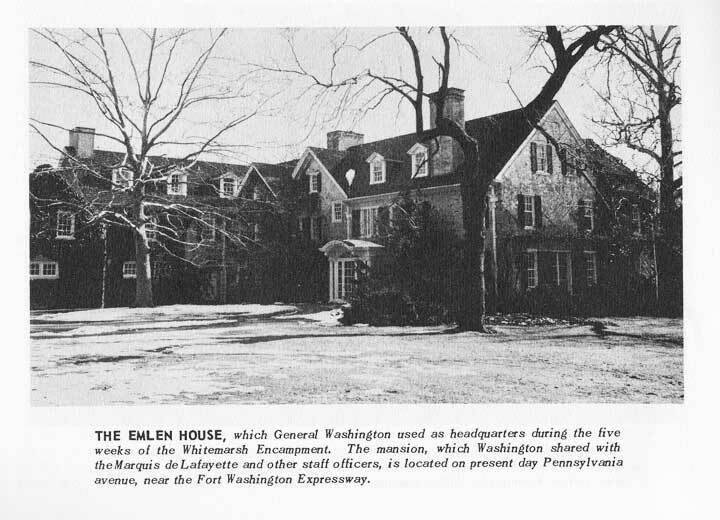 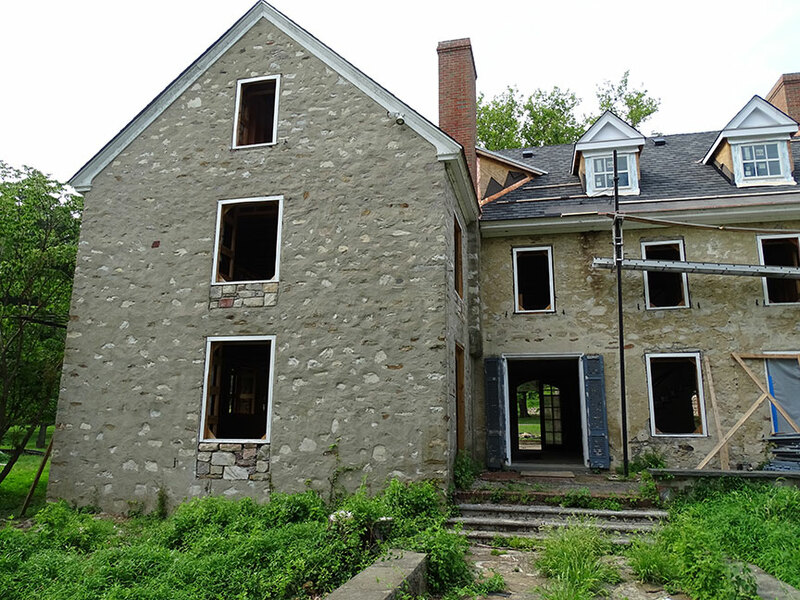 The Emlen House was built by George Emlen III (1718-1776), and briefly used as George Washington's headquarters in 1777. 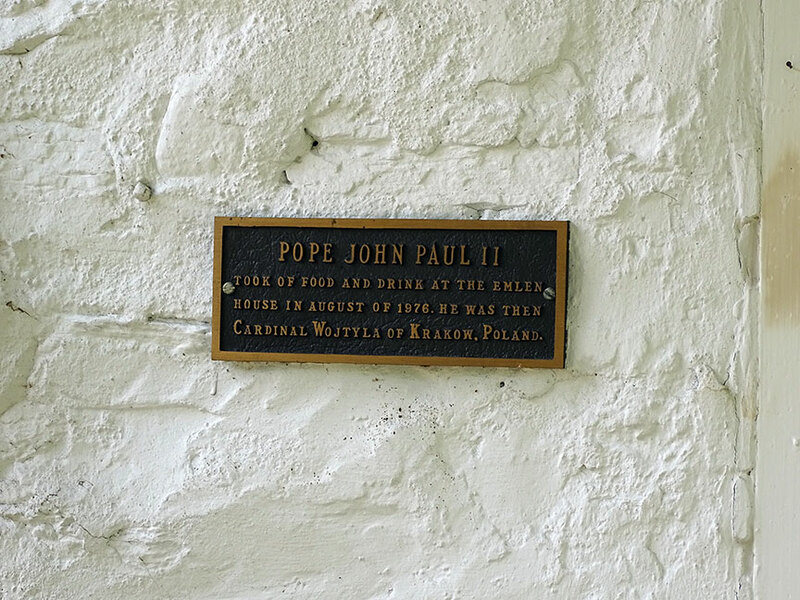 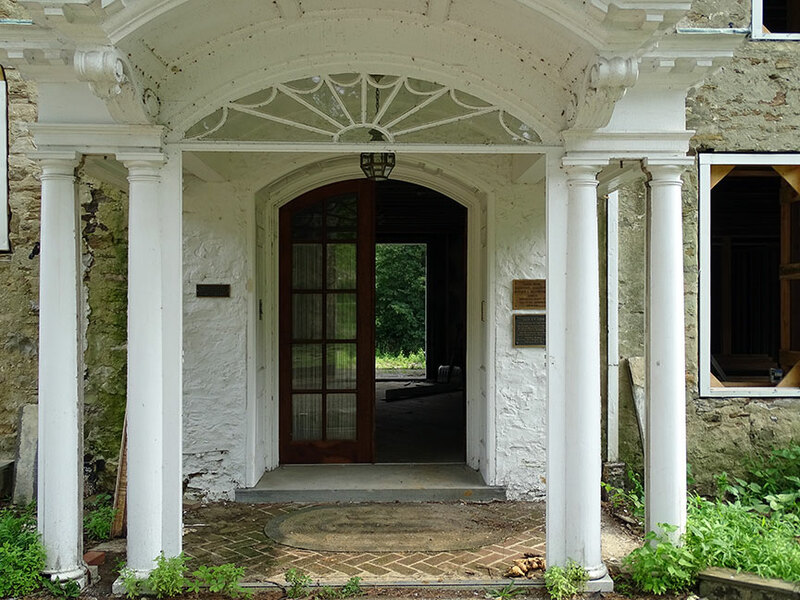 More recently it was owned by Polish-American millionaire Edward J. Piszek until his death in 2004. 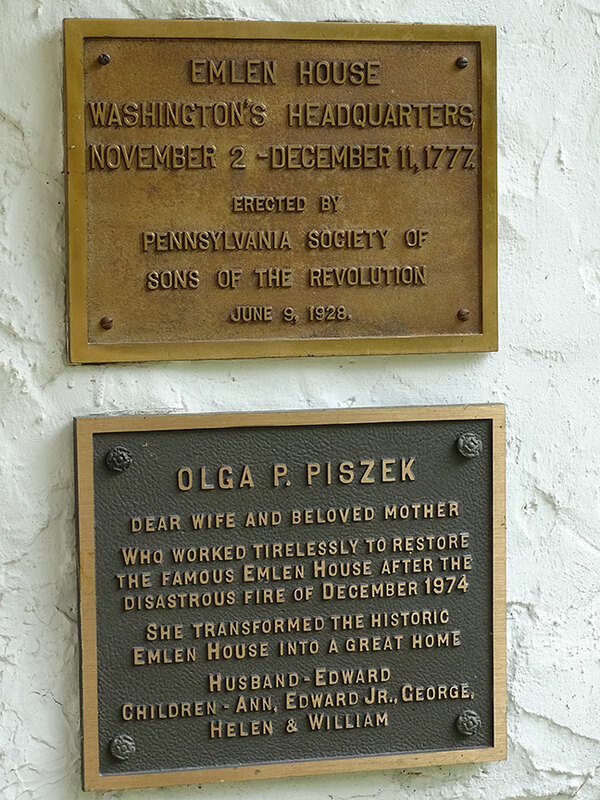 The property now belongs to the Copernicus Society of America (founded by Piszek).